September 2013 – Girl Who Would be KING on Life, Style and INSPIRATION. 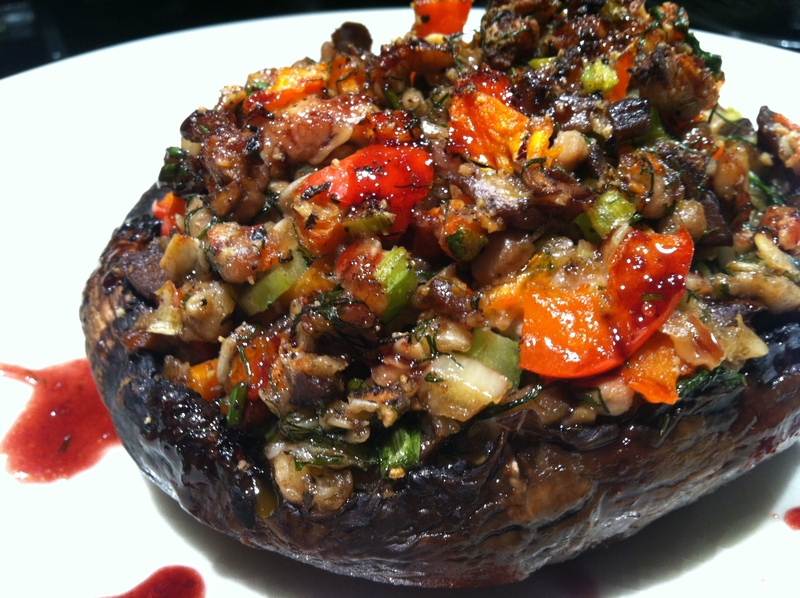 This can almost suffice as a meal on its own, but giant portabello mushrooms are terrific as a side dish for grilled fish or steak, or as a vegetarian main dish because they have that meaty ‘steak like’ texture. They’re healthy, filling and so satisfying. Here is a recipe that’s not really a recipe. Remove stems from mushrooms and reserve for another use, such as stock. Hollow out a bit of the mushroom taking care not to cut through the whole thing – just scoop out some of the flesh to make room for stuffing. Brush mushrooms all over with oil. Prepare quinoa or rice (I recommend wild rice if you don’t want to use quinoa) ahead of time. Wash 1 ½ cups of quinoa or rice & place in pot with 3 cups of water/stock (I like chicken or veggie ‘better than’ bouillon). You’ll have more than enough – but more is always better. In a separate pan with a bit of extra-virgin olive oil sauté the following vegetables (although you can improvise using whatever veggies you prefer). 1 chopped onion, 1 chopped red pepper, french-cut green beans, sundried tomatoes & a few mushrooms (you can also use the stems which you must remove from the Portabello). Just sauté with s+p (plus other spices) until tender but still slightly crisp. I then added cuban-style black beans, corn, peas & quinoa (you decide how much) to the mix. Place mushrooms, cut side down, on greased cookie sheet (or pyrex) in a 350F oven just until juices start to release, about 4 minutes. Take out of oven. Turn mushrooms and spoon filling. At this point I added sliced green onions & feta on top (although parmesan would be nice too), drizzle with a bit more olive oil and cook mushrooms until tender, about 15 more minutes. It may have rained all weekend long but it certainly didn’t dampen our spirits. 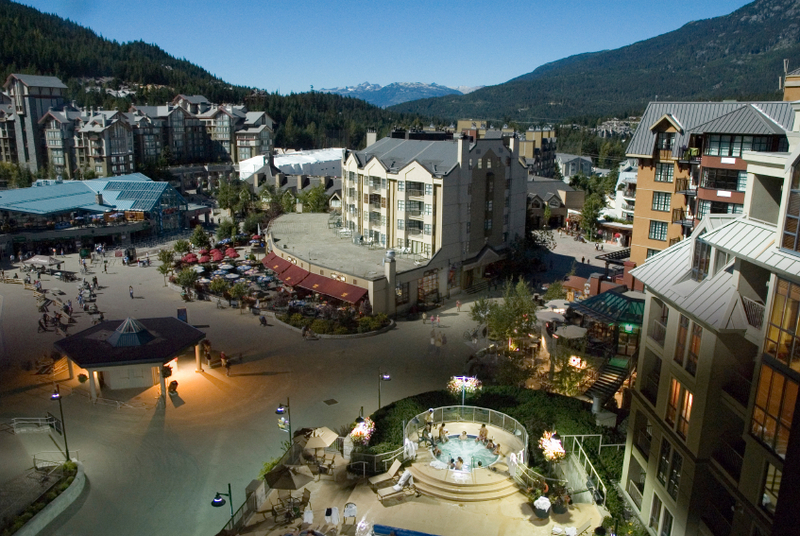 I enjoyed a fabulous girls weekend with my sister & a friend where we stayed at the Pan Pacific Village Centre (right in the heart), a sponsor for the Whistler Spirit Run. 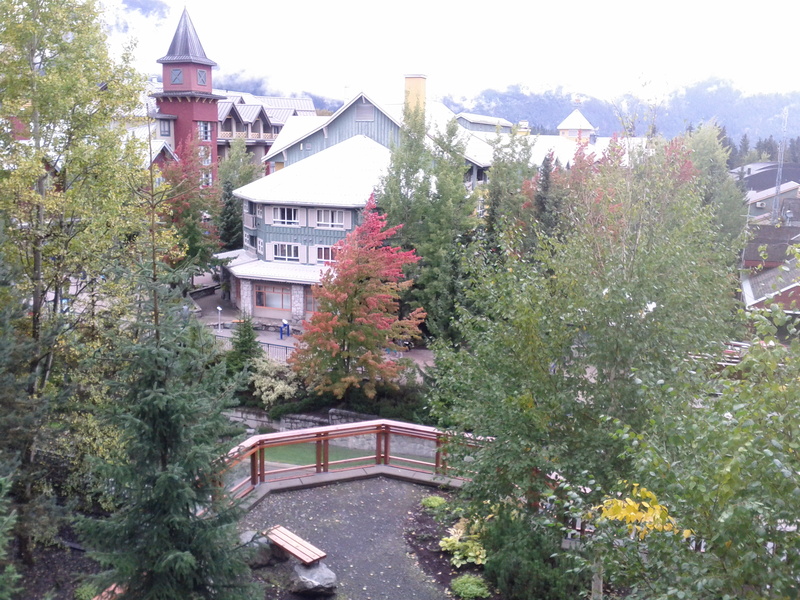 Nothing wrong with a little relaxation, a little shopping, lots of laughs, fabulous food, wine, live music & finishing off with a relay run on Sunday afternoon which took place at Whistler Olympic Park, the real reason we went up in the first place. 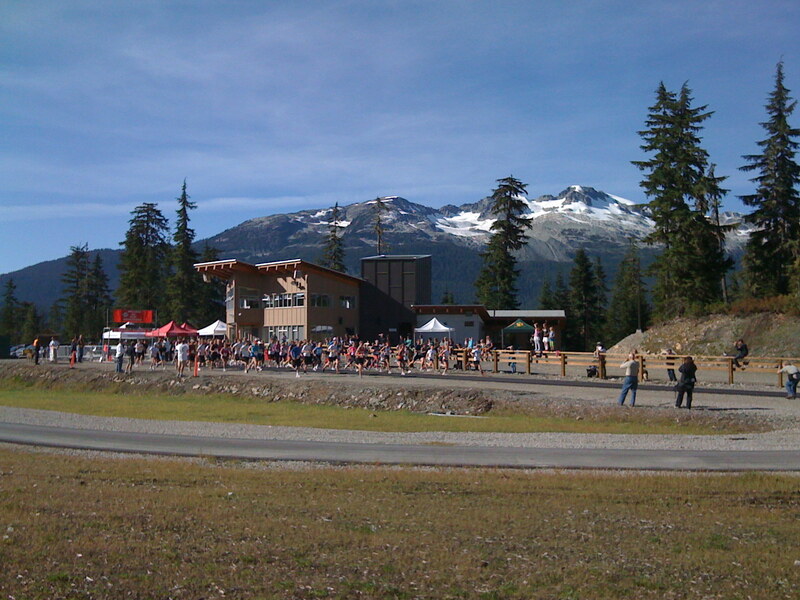 Since its inception 6 years ago, The Whistler Spirit Run has attracted people of all ages and built strong relationships. The run, part of the Vancouver Sun Run Series and Lower Mainland Cross Country Series, is a Cross Country and Trail running event featuring something for everyone. 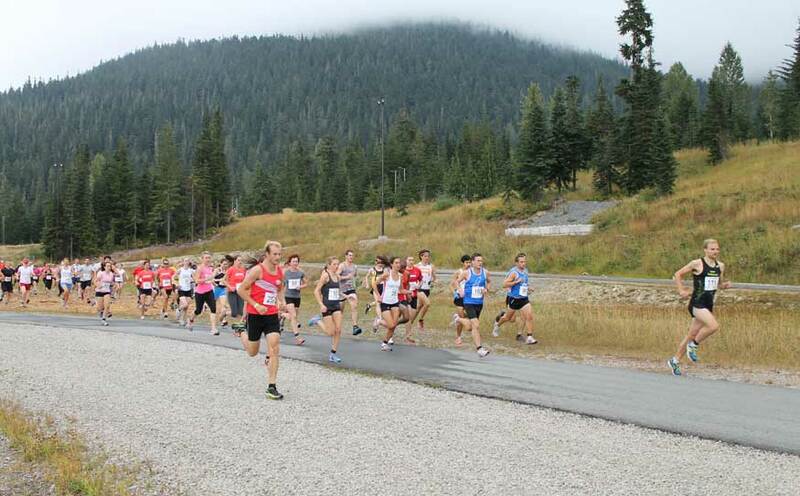 It is the realization of the late coach Frank Reynolds’ vision to have a mass participation cross country event while encouraging and supporting British Columbia high school and University athletes through charitable donations and scholarship programs. It consists of cross country events of various distances for school and club teams, a fun 4x2KM team relay and individual competitive races with substantial prize money. Sign me up again next year! 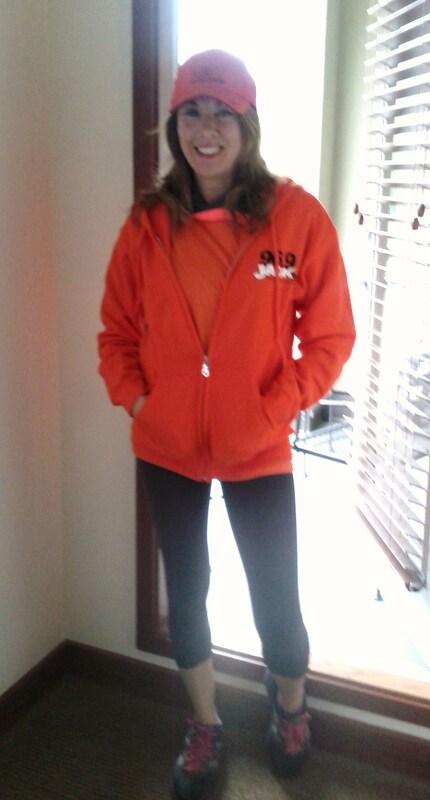 Rogers Radio was also a sponsor so I ran as part of my sisters JackFM team – hence the vibrant orange t + jacket. 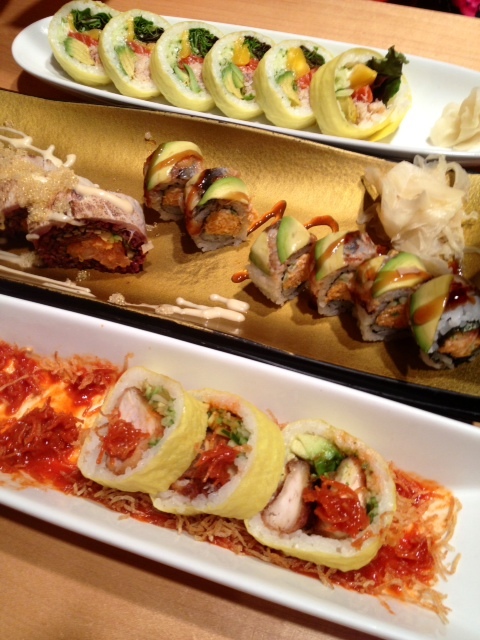 I must recommend Sushi Sen in Squamish for the most delicious, fresh + unique rolls. Don’t we know it by now! 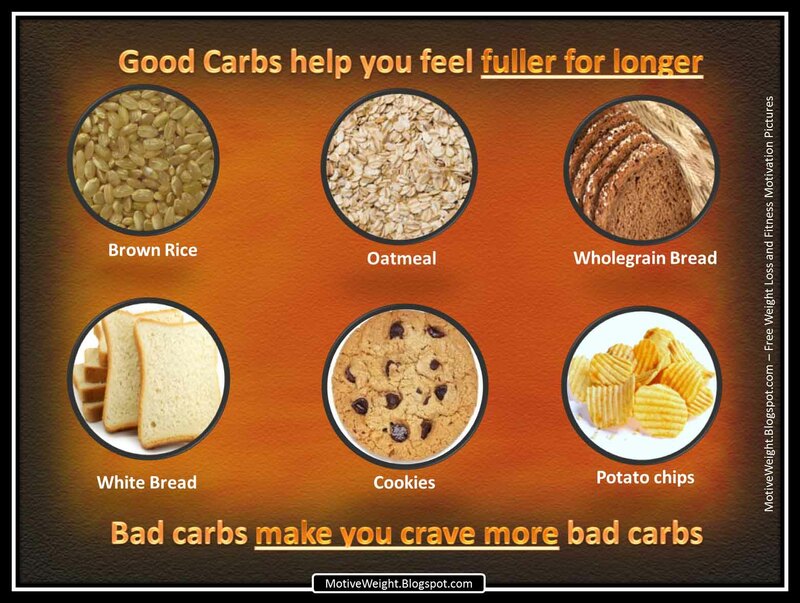 While carbs tend to get a lot of bad press (think the Atkins diet), they are an essential part of any diet if you expect to have energy and function at an optimal level. “Your body definitely needs carbs,” says nutritionist Kelly Aronica, who believes that they should make up at least 50-60% of the calories you consume daily. Why? Because glucose, the simplest type of carbohydrate, is the only thing that can be used to meet the energy needs of the body, support the brain and nervous system, and maintain a well-functioning digestive system. Though the body has a backup plan if no carbohydrates are eaten, it’s not perfect (hence why it’s meant as a backup plan). As Aronica explains it, if there’s a lack of carbohydrates, the body essentially converts protein and fat into glucose, which is what the body converts into fuel so we have energy. The problem is that this system is less efficient and slower than just consuming carbohydrates and, depending on your sensitivity level, it often leads to low energy and light-headedness. 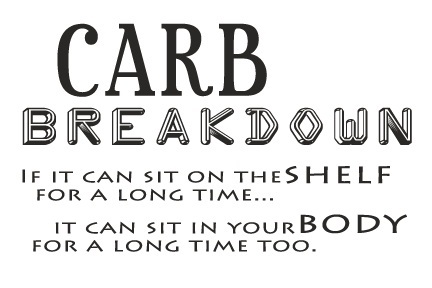 But that’s not the only reason to eat carbs. As Aronica puts it, carbs are also needed because their presence lets the body know to release insulin, which is necessary to use the glucose to build muscle, energy storage, and even fat (if you have excess glucose). Now if the mention of fat made you start to believe all those anti-carb rants, then you need to remember that there’s a big difference between carbs that provide fiber, nutrients, and vitamins and ones that only supply sugar. Don’t believe us? Aronica points out that a recent study from the New England Journal of Medicine “showed that eating refined potato products, sweetened drinks, sweets and desserts, fruit juice, and other refined grains were linked to weight gain where high-fiber carbs were linked to long term weight loss.” So instead of banishing carbs from your diet, be more particular about the ones you eat. Avoid refined carbohydrates (like white bread) and opt for the carbs that have high-fiber levels and a bounty of nutrients and vitamins, like folate and heart healthy omega-3’s. While most of the fibers in food aren’t actually digestible, they provide a lot of other important health benefits to keep you operating at your best and are a necessary part of any diet. To help you make better choices, we put together a list of the carbs that are best for your body. As seen on Yahoo shine! Personally speaking, what could be better than combining Art with Fashion? Another fabulous coffee table book. 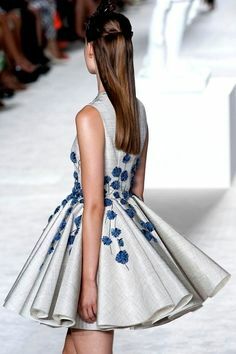 Whether cut with ballooning bustles or embroidered with a multitude of chiffon petals, Christian Dior’s dresses evoked the light, color and fluidity in the work of the French Impressionists. And it wasn’t by chance. 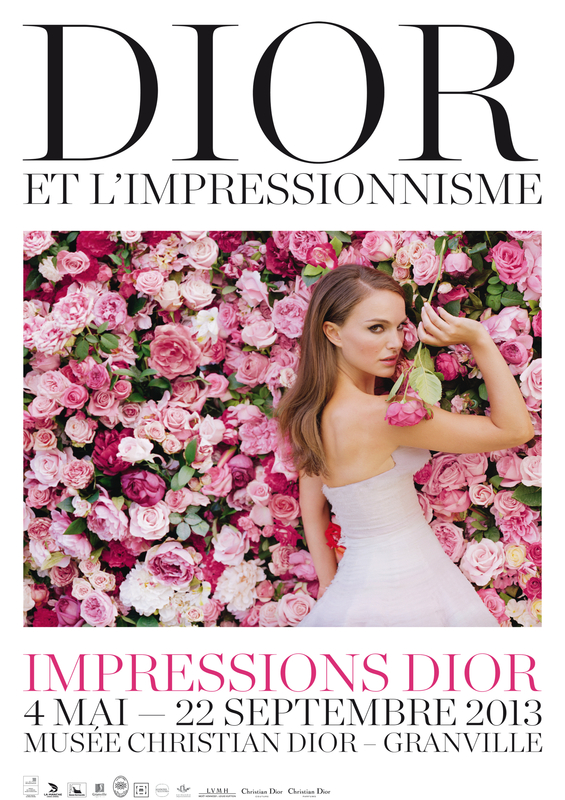 A lover of both art and flowers, Dior found tremendous inspiration in the plein air paintings of Claude Monet, Camille Pissarro, and Pierre-Auguste Renoir. 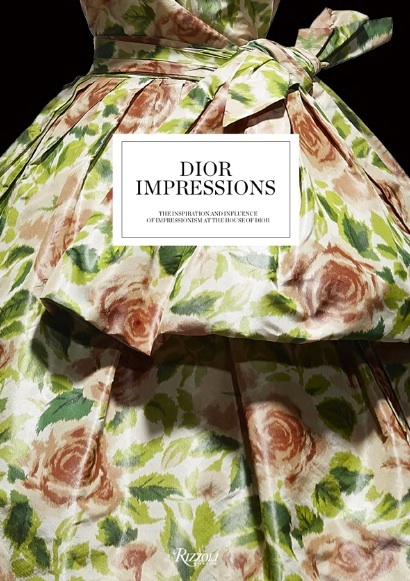 ‘Dior (Rizzoli), a new book published to accompany an exhibition at the Musee Christian Dior in Granville, France, explores the 19th-century art movement’s role in shaping the fashion house – from Dior’s very first designs to a Raf Simons (the current designer) 2012 couture gown, the pastel colors of which recall a Monet canvas. K.N. for W Magazine. A little bit of fashion history: “The future has arrived and it’s all about dreaming of the past” the essayist and novelist Kurt Anderson once wrote. This was true of the 2013 Fall shows. Ideas from decades old collections showed up on the runways and felt entirely au courant. This was particularly central to Raf Simon’s second ready-to-wear collection for Dior. With a passion for art similar to Monsieur Dior, Simons embroidered early Warhol fashion illustrations onto dresses and embossed them onto clutches. Taken from an article written by Karin Nelson – This Old Thing? 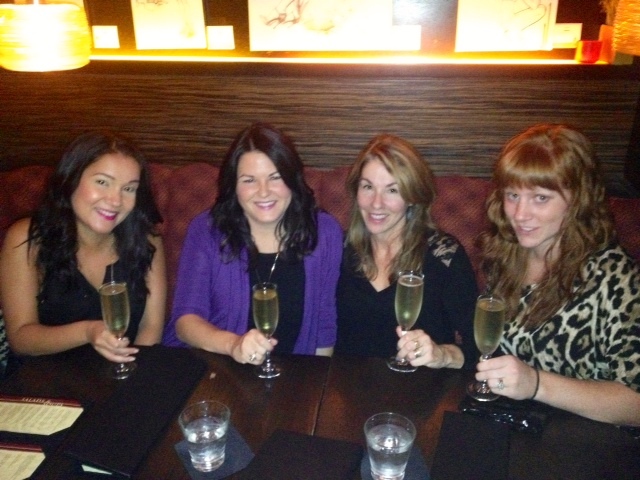 beauty cabinet essential – Geisha Inc.
A product review – with love from Vancouver, B.C. I’ve always held a fascination for all things Geisha. In fact, I followed a few when visiting Kyoto many years ago & it was pretty obvious. I love the ancient tradition (their skill in dancing, singing and playing musical instruments such as the flute and shamisen), their alluring beauty and gracefulness. The white skin, the elaborate jet black hair, red painted lips & glorious silk kimonos. They look like porcelain dolls. I loved the book ‘memoirs of a geisha’ (couldn’t put in down) and the movie too. 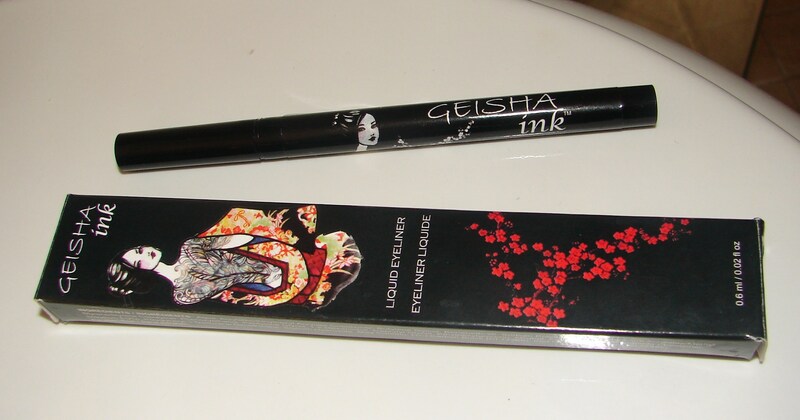 But the closest I’ll ever get to a geisha now is by wearing Geisha Inc. liquid eyeliner. Not the same, but a little bit goes a long way. Liquid eyeliner is not the easiest makeup product to work with for us non-geisha type girls. If you don’t have a steady hand it can get real messy real quick or can look way over the top. But then I discovered (okay I didn’t really discover it but I did find) a great liquid liner that delivers nice pigment with ease of use. To be honest, the packaging is what sold me at first but the product happily delivers. 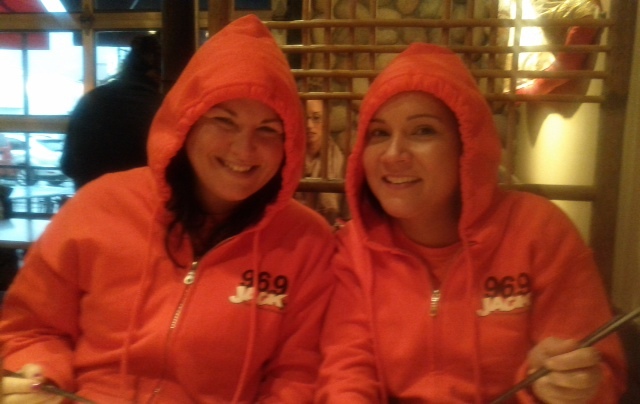 Bonus – the company is based in Vancouver, B.C. Geisha Ink Liquid Eyeliner is a 24 Hour water and smudge-proof formula that delivers effortless and precise application with its revolutionary microfiber brush tip. This quick-drying formula helps create subtle to dramatic looks. It comes in brown or black. Shake liner a few times before use. Apply with enclosed micro-fiber brush to ensure precise application. Close cap tightly after each usage. Removes easily with warm water and/or regular eye makeup remover. For best result, use a eye primer or powder eye area prior to application. Some of the new selections offer easy volume, nipped-in waists and are covered in things we all love to receive…..flowers + baubles! 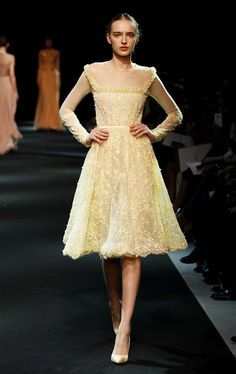 The dresses may be feminine and fanciful but the footwear is surprisingly utilitarian. If Mary Janes or Ballet Flats are not your thing, opt for wearing heels or ankle booties. To enhance the glamour, try wearing your hair off the face or pulled back into a chignon. 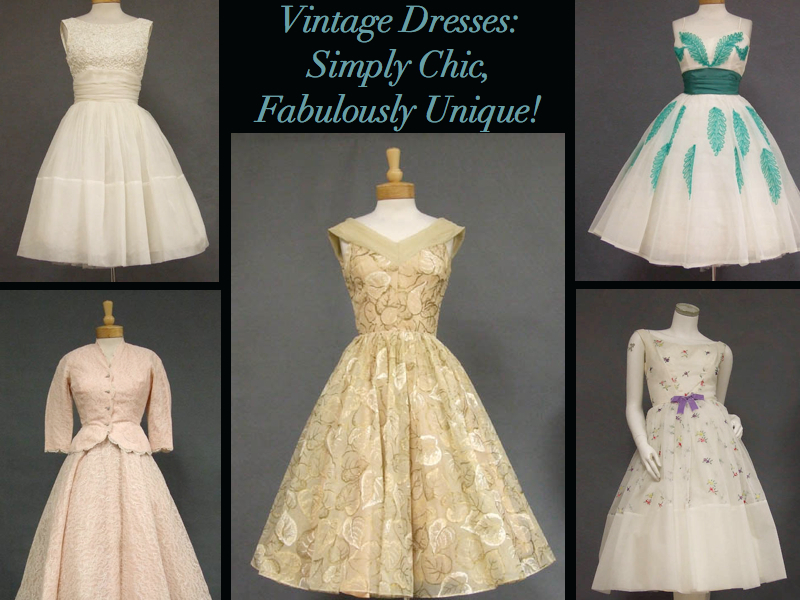 Hopefully these dresses will sweep you off your feet! Gwyneth Paltrow wears Isabel Marant – look at the shoes! Southern Comfort. I have a sneaking suspicion that you can put a pork shoulder into a *slow cooker all on its own (with no rub, sauce, etc.) and it will still turn out pretty darn tasty…but why chance it. This delicious ‘once on occasion’ recipe (as filed under guilty pleasures or football games) was served on buns this past weekend (with other food like stuffed peppers, etc.) as a request. One 3 or 4 lb. 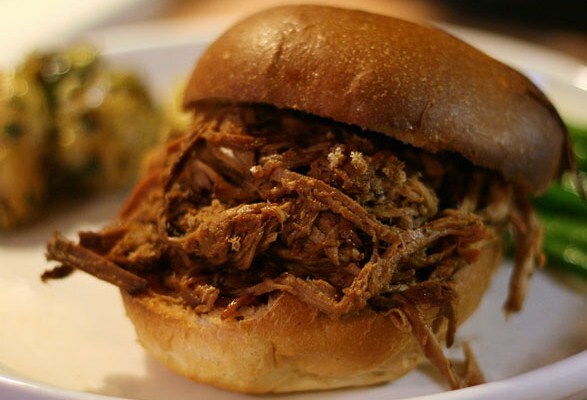 boneless pork shoulder (boneless is easier for shredding). Have butcher roll and tie for you if it doesn’t come packaged that way. Combine the following dry spices and rub them all over the pork. Make sure you get all surfaces well covered. Place seasoned pork in a bowl, cover and refrigerate overnight. Next morning – remove the pork from refrigerator. 1 cup of barbecue sauce (if you buy it try to get one with a smoky BBQ flavor – I like Kentucky wild whiskey or a wild hickory smoke). See homemade version below. Add pork shoulder, cover & turn on low for at least 8 hours. When done, remove roast from stoneware (slow cooker), and pull the meat into shredded pieces using two forks. Pour out any liquid in the stoneware. Combine shredded pork with a chopped medium onion & put back into stoneware with about 1/2 cup of the reserved liquid & bit more barbeque sauce. Turn on low for one more hour. Keep warm until serving on hamburger buns or rolls. Warm up extra BBQ for buns if needed. *If you don’t have a slow cooker then put it into a covered roasting pan set on a low heat (250 F) for same amount of time. Just be sure to check & baste periodically. 1 tsp. yellow mustard like dijon, Worcestershire sauce, garlic powder, onion powder and kosher (or Lawry’s seasoned) salt. Combine all ingredients in a saucepan. Whisk thoroughly or combine with a hand-held blender to ensure there are no lumps. Simmer over low heat while stirring frequently for 1 hour (this pasteurizes the sauce). Cool for at least 1 hour before transferring to an airtight container for storage. Store for up to 1 month in the refrigerator but you can also freeze what you don’t use. 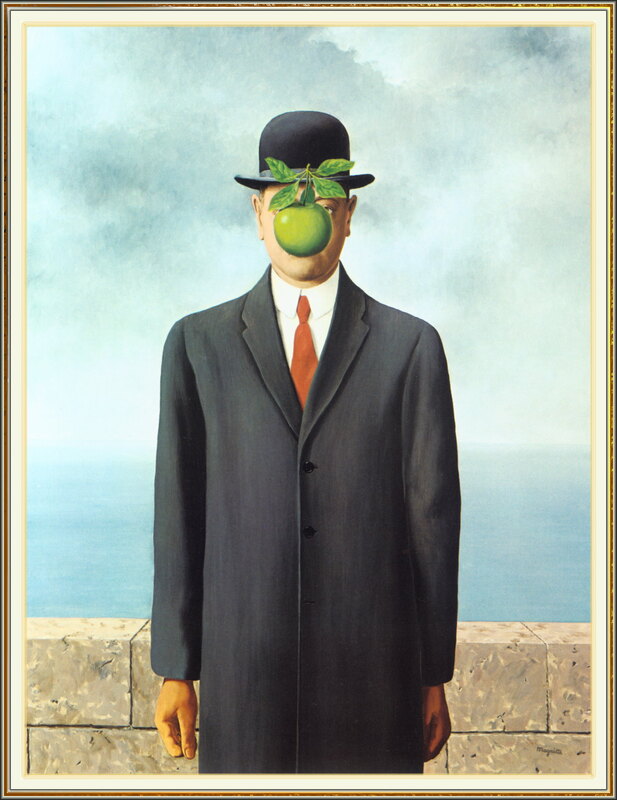 MoMa’s “Magritte: The Mystery of the Ordinary.” On view from September 28th through January 12, 2014 takes a fresh look at early works by Belgian master René Magritte. The exhibit features more than 80 paintings, collages, and objects made between 1926 and 1938. If you live in or plan to visit New York during that time you can prepare to be perplexed by images such as ‘lovers kissing through gauzy masks’ & other intriguing pieces. 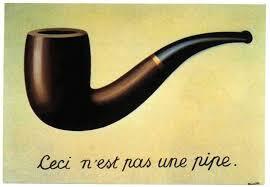 But surrealisly, how do you feel about Surrealism as an art form? I remember seeing an exhibit on Surrealism at the Guggenheim many years ago that made me think “what was the artist thinking?” There has to be a story behind it (at least somewhat) but the dreamlike paintings were nonetheless beautiful works of art. The mystery can be left up to the observer and it can represent many things to many people which is the true beauty of ART. American artist Jeff Koons (who owns several Magrittes) explains that Surrealism was the very first art movement that he really responded to and he feels that Surrealism makes people go inward – to dive into the muck and understand themselves – and then return outward with a new sense of self-acceptance. He says “Art brings you in contact with feeling. 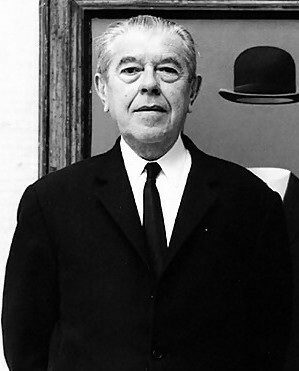 When you see a Magritte, you feel something; you have an experience that can be very, very strong. He’s very poetic. One of the beautiful things about his work is that it’s really made for the viewer to participate in. It’s about creating a shared experience for you to experience this sensation.”(This as told to Lindsay Talbot). It is what it is….what is it then? Similar to a good author or poet, you want to be drawn in and taken away to somewhere that’s anywhere but here…even if just for a little while. 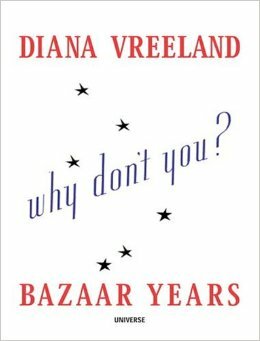 Diana Vreeland began her now legendary 25 year tenure at Harper’s Bazaar, writing a column of audacious advice & extravagant ideas that helped redefine American women and 20th century fashion. way ahead of her time – sounds like good practical advice to me! 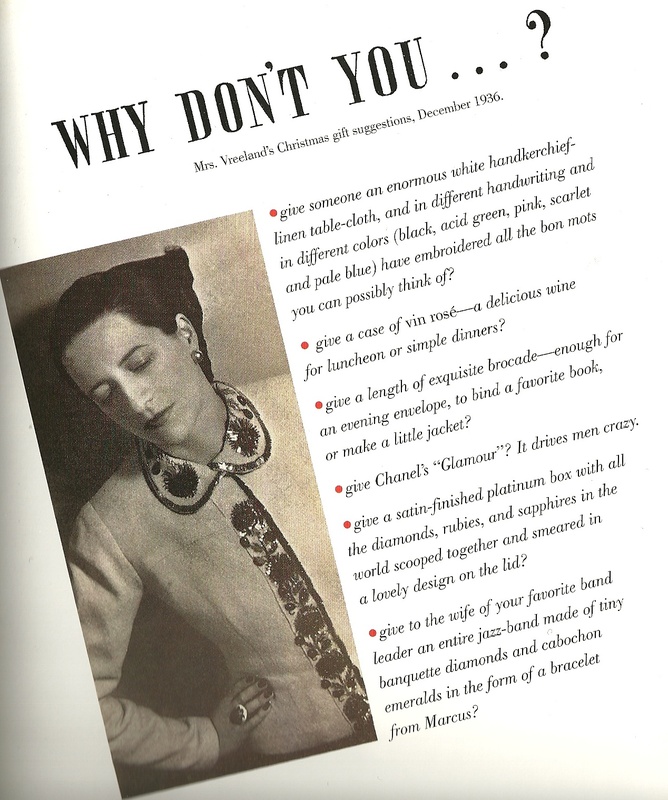 “There’s only one very good life and that’s the life you know you want and you make it yourself,” Vreeland famously said. And she devoted herself to this infectious, all-encompassing idea that you could make yourself as interesting – as fabulous-as you wanted. Why be boring? She also, luckily for us, never seemed to say anything that didn’t qualify as a perfect (not to mention totally Tweetable!!) little life quote. What a life, what a fabulously stylish life!